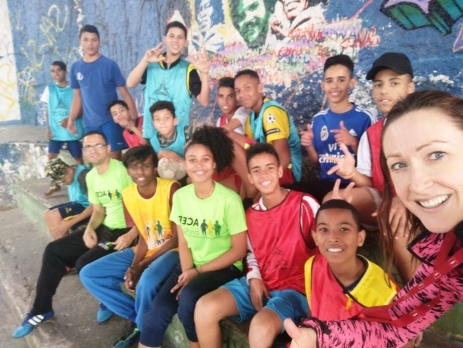 Amy recently returned from our sports coaching programme in Brazil and her story shows just how much impact volunteers can have abroad. 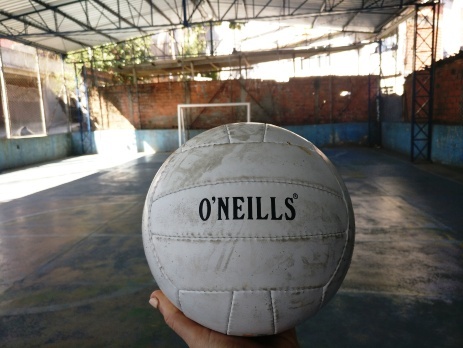 Before she left, she gained sponsorship from O’Neill’s pub and she was able to send Gaelic footballs to our brilliant youth centre in Brazil. Now she has returned, she is fundraising to help the centre continue to coach local children in the area. 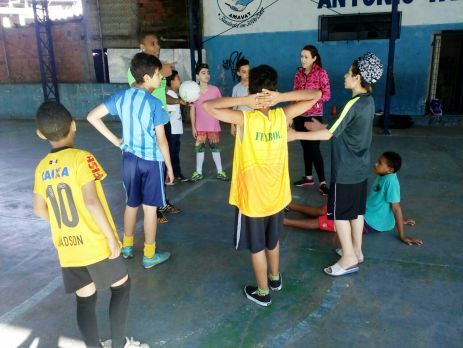 For more information, read about her experience in Sao Paulo. I decided at the start of the year as a part of a University experiential learning project that I would set my sights on a project further abroad as opposed to staying in Hong Kong. So I volunteered at a fantastic youth centre in Sao Paulo. It was through Oyster Worldwide and I was lucky enough for them to accept me working for only two weeks. My project was focused on volunteer sports coaching. 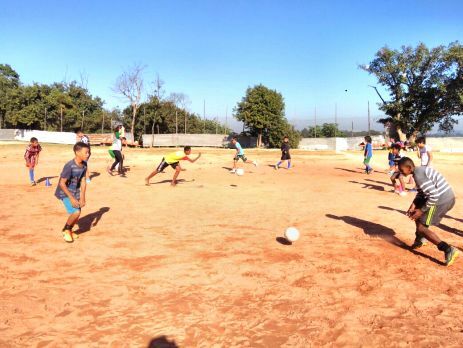 I got to bring my national sport from Ireland over to Brazil, the home of football. Here I was trying to introduce Gaelic Football to the professionals!! These kids were mini football stars! I can’t explain how welcome I felt. The whole sports team was more than happy to work with me and showcase this sport they never heard of before. The children from the area took to it like a duck to water. I only have good things to say about this experience. My expectations exceeded anything I predicted. I was so surprised at how interested the kids were and how keen they were for trying this new sport. The children in the centre come from quite poor areas and when we all got together it was amazing to see how they play and have fun together. They were so friendly towards me and I was a total stranger to them. It was so funny, when I first met them they ran up to me and started speaking to me in Portuguese. I had to pretend I understood and smiled and agreed to everything. Also through my volunteering I received Portuguese lessons from my amazing teacher and friend Vitor! So by the end of the two weeks I tried to communicate with some basic phrases all to do with football. I coached two sessions a day, one in the morning and one in the afternoon. The centre is so flexible and they will cater for your needs. This centre is an NGO organisation and relies on funding. So now that I am back in Hong Kong I am going to do my best to fundraise for this amazing centre. The sports team has four centres. Three which are like basketball courts and one pitch where there is no grass, only dried sand with uneven grounds which could do with some construction. I am going to organise sending over some GAA gear to the centre. If you know of anybody who would like to donate some jerseys/ shorts etc let me know. If anybody is interested in doing some volunteer work abroad, trust me when I say it’ll be worth it. I think I came away more open minded and with such awe at how amazing this centre and these kids are. With the little they have, the kids are happier than a lot of people that I have met and they want for nothing. I felt a big sense of community in the centre which is so heartwarming. If you want more information about how to get involved, email Sarah on [email protected].